Open Letter to Federica Mogherini, High Representative of the Union for Foreign Affairs and Security Policy, and Cecilia Malmström, European Commissioner for Trade, regarding the murder of Honduran environmental and human rights defender Berta Cáceres. We write in shock and deep sorrow regarding the murder of Honduran environmental and human rights defender Berta Cáceres. She was a Lenca indigenous leader and the coordinator and cofounder of the Civic Council of Popular and Indigenous Organizations of Honduras (COPINH). In 2015, she was awarded the Goldman Foundation Environmental Prize for defending her land and natural resources, notably for her campaign against Agua Zarca dam project. This project receives both national and international funds from multiple sources including the Dutch development bank FMO and Finnfund from Finland. Voith Hydro, a joint venture between Voith and Siemens (both based in Germany), is also involved in the project as equipment supplier. Ms. Cáceres had precautionary measures from the Inter-American Commission on Human Rights (IACHR) since 2009, but did not receive the full protection she needed. She is one of the 15 human rights defenders who have been killed in Honduras despite being beneficiaries of the IACHR precautionary measures, as reported by the Committee of Relatives of the Disappeared in Honduras (COFADEH). On 5 March 2016, the IACHR granted precautionary measures for the COPINH members, Berta Cáceres’ family and Gustavo Castro Soto, due to the risk to their safety. Gustavo Castro Soto, a Mexican environmentalist, journalist and member of Otros Mundos Chiapas/Friends of the Earth-Mexico and the Mesoamerican Movement against the Extractive Mining Model was also wounded in the attack against Cáceres. On 6 March, when he attempted to leave Honduras, with protection from the Mexican Embassy in Honduras, he was prevented from doing so by Honduran authorities before passing through customs in the Tegucigalpa International Airport, under the argument that he had to give further testimony. According to the latest information, as of 8 March, he was requested to stay in the country for 30 more days. Berta Cáceres’ death confirms what a 2015 report has shown: Honduras is one of the world’s most dangerous countries for environmental activists. At least 109 environmental activists were murdered between 2010 and 2015. Since the 2009 coup, Honduras has become one of the world’s most dangerous places to be a human rights defender of any kind. The murder of Berta Cáceres sends a devastating message to all Hondurans trying to exercise their rights – including their right to defend their human rights. We welcome the statement the EU Delegation in Honduras together with member states have issued just after Ms Caceres assassination as well as the Statement of the Spokesperson highlighting the need of a “transparent yet expedite investigation” and asking for the full protection of Mr Castro Soto and be allowed to leave the country as soon as possible. Support an independent international investigation of Ms Cáceres murder, led by the Inter-American Commission on Human Rights, and urge the Honduran government to invite and fully cooperate with such an investigation. An independent investigation is essential given the lack of confidence in the judicial system; reigning impunity, including for cases involving human rights defenders; and the emblematic nature of this case. Ensure that Honduran judicial authorities carry out their duties to effectively and promptly investigate Cáceres’ murder, in cooperation with the international investigation, and following lines of inquiry that take into account the context of Cáceres’ work and situation of risk, while pursuing the intellectual and material authors, guaranteeing due process and access to justice. Comply with the precautionary measures granted by the IACHR on 5 March and provide immediate, effective, and carefully consulted protection to members of the COPINH, members of Ms Cáceres’ family, Mr Castro and all witnesses in the case. The Honduran State must inform the IACHR about the measures adopted in this regard until 18 March 2016. Proceed immediately to cancel the concession granted to DESA for the Agua Zarca project, which represents a violation of article 15 of ILO Convention 169 (C169), as there is no evidence to suggest that the indigenous Lenca people ever gave their consent prior to Honduran National Congress approving the concession in September 2010. All other concessions in Lenca territories approved without free, prior and informed consent must be suspended. The State of Honduras has ratified ILO Convention 169 and the Declaration on the Rights of Indigenous Peoples. Thus, it has the international obligation to seek consent. Advance on the regulations and implementation of the mechanism for the protection of human rights defenders, journalists, media workers and justice operators, which must be fully operational and adequately funded, with protection measures consulted with beneficiaries. Ensure that the EU Delegation as well as Embassies and Consulates of EU member states in Honduras actively accompany and monitor the processes around the investigation of the murder of Berta Cáceres and the situation of Gustavo Castro Soto, in line with the European Union Guidelines on Human Rights Defenders. Regulate European investments in natural resources exploitation projects in indigenous territories in order to comply with States human rights obligations, including those enshrined in C169 and outlined in the Maastricht Principles on Extraterritorial Obligations of States in the Area of Economic, Social and Cultural Rights and the UN Guiding Principles. As stated above, the concession granted to DESA for the Agua Zarca project represents a violation of article 15 of C169. In the framework of the implementation of the trade pillar of the Association Agreement between the EU and Central America, verify that all clauses related to the implementation of labour, environmental and social rights are respected by the State of Honduras, but also by European member states whose companies are supporting related projects in Honduras. Mobilise all mechanisms at disposal to ensure the full respect an implementation of these clauses as well as Art. 1 of the agreement. The EU must stand with those who are putting their lives on the line for the protection of human rights and the environment in Honduras. And as outlined by the EU, human rights defenders around the world deserve to see that impunity (of any kind) will not prevail. 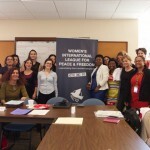 Asociacion de mujeres feministas puntos subersivos. 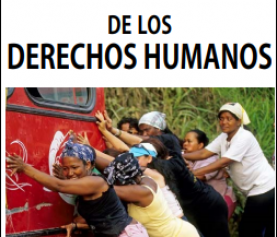 Capitulo Boliviano de Derechos Humanos, democracia y desarrollo. Centro de la Mujer Peruana Flor Tristán, Peru. Copenhagen Initiative for Central America and Mexico (CIFCA), Belgium. ICID, Iniciativa de Cooperacion Internacional para el desarrollo, Spain. Plataforma de Solidaritat amb el Poble de Guatemala, Spain. 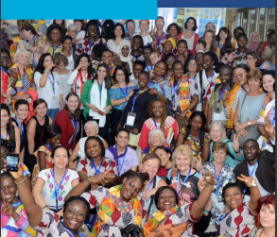 Rede de mujeres de América Latina y el Caribe en Espana, Spain. Precautionary measure N. 112-16, 5 March 2016 (available in Spanish): www.oas.org/es/cidh/decisiones/pdf/2016/MC112-16-Es.pdf. 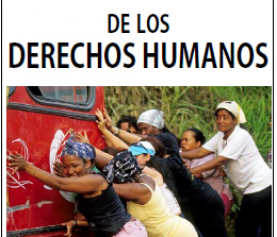 The latest report by the IACHR on the situation of human rights in Honduras (December 2015) states that impunity is “structural” in the country. Available at: http://www.oas.org/en/iachr/reports/pdfs/Honduras-en-2015.pdf.